Mike has been a financial advisor since 2000, following 30 years in the family retail business. Mike works with business owners, professionals and associations to help them develop and execute financial plans that will help them achieve their financial goals. 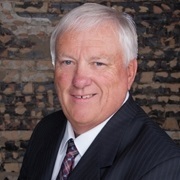 Mike has been involved in his local community of Grand Ledge for over 50 years with memberships in Rotary, NAIFA and many other nonprofit organizations. Mike believes in the personal touch and meets with the majority of his clients three to four times per year to make sure their financial plan is on track. Mike has been married to his wife Carol for 49 years, has three sons and nine grandchildren.